Chemotherapy and radiation therapy are becoming mainstays in the treatment of head and neck cancer. The mucosa of the oropharyngeal swallowing tract is lined with cells with rapid turnover, providing a prime target for cytotoxic chemotherapeutic agents and radiation. Irradiation induces the mitotic death of the basal cells of the mucosa. With traditional radiotherapy, there is a two-week delay before the onset of symptoms. Once the radiotherapy is completed, there is complete reepithelization within two to three weeks, resulting in significant symptomatic improvement. 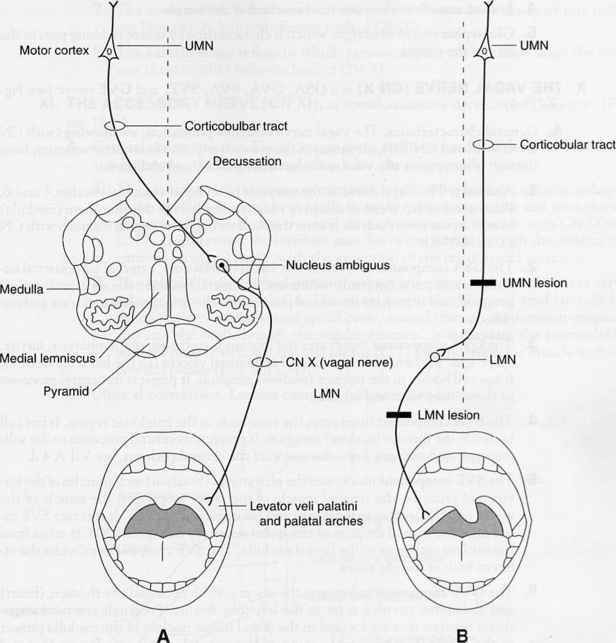 Late complications of radiotherapy include destruction of salivary gland tissue and fibrosis of connective tissue, resulting in trismus, poor pharyngeal motility, and UES dysfunction. The chemotherapeutics implicated in oropharyngeal mucositis are the antimetabolites, in particular, 5-fluorouracil, methotrexate, and the purine antagonists. The maintenance of swallowing, especially in the setting of gastrostomy feeding, throughout treatment is imperative in order to prevent mucosal adhesions in the hypopharynx and proximal esophagus. Amifostine is an organic thiophosphate protecting normal tissues from free radicals produced by RT and/or chemotherapy. Prospective studies have demonstrated its cytoprotective effect in the oropharyngeal mucosa (13).